Buying a dishwasher can be more of a chore than actually doing the dishes. You'll want to ensure that you get the best dishwasher for you. Will it actually clean the dishes? Does it sound like someone revving the engine of a Harley Davidson in your kitchen? Does it have all the features you are looking for in a dishwasher? While searching for the best dishwasher, you'll notice that you have a lot of options for keeping your dishes clean. The first thing you need to decide is your budget. You'll find some decent dishwashers in the $500 range. But if you're willing and able to spend more, you get something super-quiet that will give your dishes the perfect shine. Ideally, the best dishwasher will be silent. Some models can sound like a jet engine while they are working. 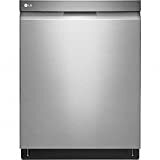 A great dishwasher will also be spacious with adjustable racks and tines. If you can, make sure to grab one with a stainless steel interior and tub. Upper-tier dishwashers will have loads of extras like special wash zones, hard food disposal, and even WiFi connectivity. In 2018, you have a lot of options. But which of the numerous options is the best dishwasher for you? 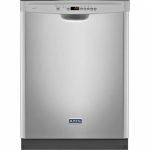 We examined user reviews, dishwasher specifications, and performance of a wide range of brands and models to find the best dishwasher available to you. 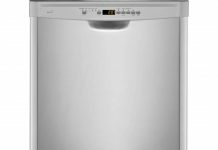 The Whirlpool WDF520PADM is an excellent dishwasher if you're on a budget. 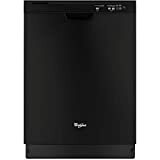 It may be the best dishwasher in its price range. Its no-frills design gives you what you need without bogging you down with extras. This machine has four wash cycles and 14 different settings you can use to customize them. If you're in a hurry, you'll love the one-hour wash feature. It's not the most comprehensive clean, but it's excellent for a small load after dinner. The exterior is stainless steel. But once you open it up, it's all plastic. This isn't the most desirable feature. But this dishwasher is relatively inexpensive, so you can't expect it to be loaded with quality materials. It does hold 14 place settings though -- an impressive capacity for the price range. The AccuSense soil sensor will detect the amount of grime caked on your dishes and adjust the Normal cycle to provide you with the deepest clean you could possibly want. The WDF520PADM is relatively quiet at 55 dBA. The NSF-certified Sani Rinse will eliminate 99.99% of food soil bacteria. The dual spray arms also help ensure a thorough cleaning. If you're worried about water conservation, the Triple Filtration system will help save you water and reduce costs. One major drawback of the WDF520PADM is that it occasionally struggles with dried-on food. The cause of this may be the length of the cycles, which are shorter than average. Whirlpool could improve this by lengthening the cycles on future models. And while it holds 14 place settings, you really need to cram them in there. You'll need to hang the removable cutlery basket on the door to make space for all the dishes if you want to fill it to maximum capacity. Overall, this is an excellent dishwasher for the money. The Miele G6875SCVi SF will cost you an arm, a leg, and your soul. But who can put a price on quality? This dishwasher is beautiful. Its performance matches its looks. The QuickIntense Wash, unlike many other quick wash cycles, will give your dishes a perfect shine in under an hour. Full cycles will cut through even the most caked-on food and leave your dishes, glasses, and silverware spot-free. 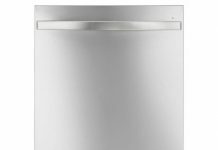 This dishwasher features adjustable racks and shelves as well as fold-down tines and padded stemware grips. You'll love the lighted interior and the hidden controls. You'll also be happy with the adjustable third-tier rack to hold your cutlery and more. In addition, the G6875SCVi SF is efficient. The EcoStart allows you to schedule your wash for when utility rates are lowest, and the EcoTech Heat Exchanger transfers already-existing heat to incoming water. This dishwasher also has WiFi capabilities and can be controlled with Miele's mobile app. If you can afford this machine, you'll find yourself pleased with your purchase. The SMEG STFABURD-1 is, above all else, a work of art. Design-wise, it's your dad's red 1950s-era Firebird without the wheels and filled with dishes. It's beautiful. While most dishwashers will sit in your kitchen and do their jobs, this one doubles as a conversation starter. But once you "pop the hood," it's even more beautiful than you imagined. The STFABURD-1 features a whopping ten wash cycles and five temperature settings between 100°F and melt-your-skin-off 158°F. This dishwasher offers a half-load option if you're washing up after snacks as well as numerous other features that will leave you in awe. The STFABURD-1 will comfortably fit 13 place settings. It has a third basket for cutlery, flip-down spike rails and a double-foldable rack in the lower basket, a stainless steel tub and filter, and more. If you're worried about leaks, SMEG's leak protection system will shut everything down the moment one is detected. 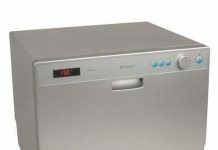 And if you hate the idea of a noisy dishwasher, you'll be glad to know that the STFABURD-1 runs at a super-quiet 43 dBA. Customers love the hidden control panel, which allows you to focus on the aesthetics when this dishwasher shuts. This is a pricey appliance, but if you can afford it, you'll love it. The LDP6797ST may look simple, but it's anything but that. This WiFi-connected machine features SmartThinQ technology that will notify you via your smartphone when a cycle completes. If you don't like your nine default wash cycle options, you can get new ones. The app allows you to download new wash cycle settings and personalize them. The LDP6797ST comfortably holds 15 place settings. It features fold-down tines on the upper and lower racks, hidden electronic controls with an LED display, and a height-adjustable third rack. QuadWash and the Multi-Motion spray arms will ensure that your dishes are clean. This machine features dual-zone, half-load, Energy Saver, high-temperature, and four more wash options. And the Inverter Direct Drive Motor means fewer moving parts to conserve energy and water. On top of all that, this thing is quiet. It runs at 44 dBA, which means you won't interrupt your after-dinner movies by doing a load of dishes. Not only does the LDP6797ST look nice, but it does an excellent job cleaning your dishes. 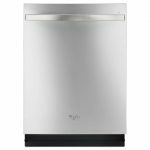 The Bosch 300 Series SHEM63W55N is a great midrange dishwasher from one of the leading companies in the business. Bosh has developed a reputation for producing quiet, dependable machines that are sure to please their owners. Almost all Bosch dishwashers from the 300, 500, 800, and Benchmark series are nearly identical when it comes to cleaning -- and they all do an excellent job. 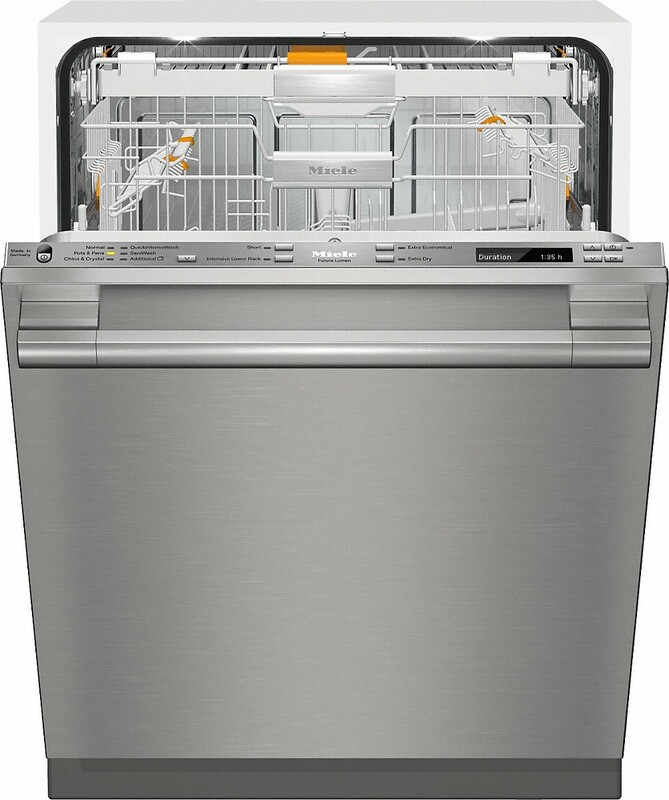 The 300 series is packed with features you'll love in a dishwasher. First off, it's quiet, running at an impressive 44 dBA. The SHEM63W55N features an adjustable upper rack with three different height levels. This is a feature that was previously only available on the 500 series and up, but now comes standard on the 300 series. This machine features a sensor that detects leaks. If one is detected, it will shut down operations. Whether it's running or not, it will drain all water to keep your floor from becoming a swimming pool for bacteria. The Speed60 cycle will get your dishes clean in under an hour. The SHEM63W55N also has traditional Auto, Heavy, and Normal cycles. You can delay loads from 1 to 24 hours so your dishes are cleaned when it's most convenient for you. And ExtraDry helps ensure that you don't have to wipe down your freshly-cleaned dishes with a towel. It also has a water softener to help reduce spots. Sometimes, this machine is so quiet that you forget it's running. So it projects a red dot on the floor to let you know it's in operation. If you're looking for a good dishwasher, you can pretty much always trust a Bosch. The Blomberg DWT55500SS's interior is a little less spacious than many of the others at which we have looked. It will hold about ten place settings. The controls are a bit lackluster, only telling you (in numbered fashion) which of the machine's seven cycles is running. But a cheat sheet on the interior helps you remember which is which. Where this dishwasher excels is cleaning power. No matter which cycle you run, you can be assured that your dishes will sparkle when the cycle completes. 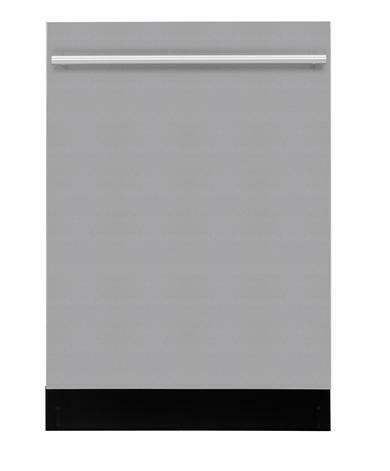 The Blomberg DWT55500SS has an innovative third rack for silverware that is positioned, so it doesn't prevent you from loading taller items. You'll also find the interior of this dishwasher to be well-lit, which will make loading easier. But if you need it out of the way, you can simply remove it. All of these dishwashers have a lot to offer you. But which is the best dishwasher? The SMEG is like a sports car that you can't drive, but that will sit in your kitchen and clean your dishes. Bosch is a proven maker of dishwashers, and any of their products will leave you happy. Miele is another superstar in the dishwasher world. If looks are your main concern, you'll want to throw the money at the SMEG. 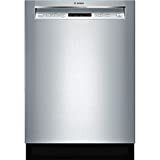 But if you're concerned about performance, the best dishwasher is the Miele Futura Lumen G6875SCVi SF. It will clean your dishes perfectly and look great doing it. If you're on a budget, you'll want to consider the Whirlpool WDF520PADM. It provides you with an excellent clean if you're willing to sacrifice some features that are typically included with more expensive brands and models. No matter what, you'll want to be sure you find the best dishwasher for you! Have you used one of these dishwashers? Let us know down in the comments which you chose, or your experience with these models.